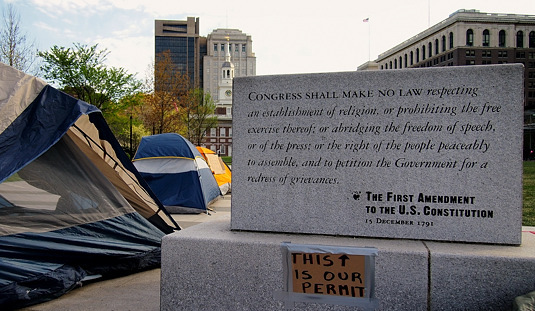 Occupy Philadelphia: This is Our Permit! 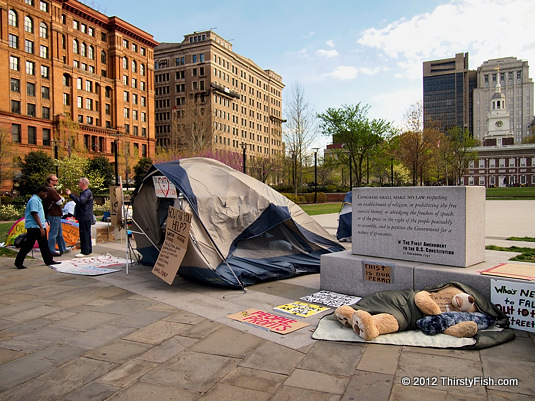 Since Friday April 6th, Occupy Philadelphia has been symbolically occupying Independence Mall in an effort to continue to raise public awareness. In the background, you can see Independence Hall, where the Declaration of Independence was approved on July 4th, 1776. The United States Constitution was adopted on September 17, 1787, in Philadelphia. Exactly 225 years later, it is atrocious that we continue to fight for even our First Amendment rights. I guess, regression is a sad fact of life.